Boy Scout Troop 378 of the Greater Los Angeles Area Council is proud to announce its newest Eagle Scouts. Their achievements will be celebrated with an Eagle Court of Honor on Jan. 3, 2018 at St. John Fisher Church, located at 5448 Crest Rd. in Rancho Palos Verdes. • Brian H. Seo, 18, attends New York University, School of Arts and Science. He earned his Eagle Scout on June 23, 2017. His proud parents are David and Cynthia Seo of Rancho Palos Verdes. Brian started Cub Scouts in 2006. He has been an active member of Boy Scout Troop 378 since 2010. His past leadership positions include senior patrol leader, patrol leader and den chief. Along the way, he earned 38 merit badges and numerous scouting awards. Brian attended the National Boy Scout Jamboree in West Virginia. Brian’s Eagle Project involved designing and building a raised garden for educational purposes and paving stones in a parking lot area at Pediatric Therapy Network in Torrance. His project involved the installation of over 4,000 pounds of raw material. He was able to fund his project through local restaurant fundraisers, pasta sales fundraising, personal donations, and his personal savings. Brian had 56 project volunteers, including scouts, adult volunteers, and friends, who put in over 396.5 hours to complete the project. Brian is very grateful for everyone who contributed their time and energy to make his Eagle Project a great success for the community. Outside of scouting, Brian performed with the Peninsula High School Drama Department and with multiple local drama troupes in Rancho Palos Verdes. His hobbies include fencing, archery, fishing, the video game Overwatch, and Dungeons and Dragons. • Brent H. Usui, 18, is a senior at Palos Verdes High School. 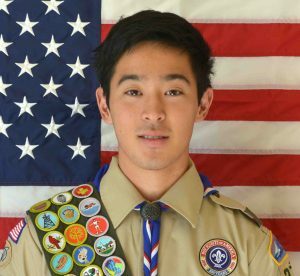 He joins his three brothers, Jeff (2007), Ryan (2010) and Matthew (2017) in earning the rank of Eagle Scout on Sept. 6, 2017. His proud parents are Mark and Vivien Usui of Rolling Hills Estates. He started Cub Scouts in 2008 with Pack 862 and earned his Arrow of Light in 2010. He joined Boy Scout Troop 378 in 2010 and his past leadership positions include senior patrol leader and patrol leader. Brent earned 32 merit badges and his favorite was the archery merit badge. Brent had the privilege of attending the National Jamboree held at the Summit Bechtel Reserve in West Virginia. Brent’s Eagle Project involved designing and building a hexagonal indoor bench made of maple wood for the Children’s Ministry at South Bay Community Church (SBCC), the church that he and his family attend. In addition, Brent designed and built the storage closet area for the High School Legacy group of SBCC, which included making wooden shelving, storage closets and a guitar rack. He is very grateful to the many volunteers and leaders who helped make his project a success for SBCC and the community it serves. 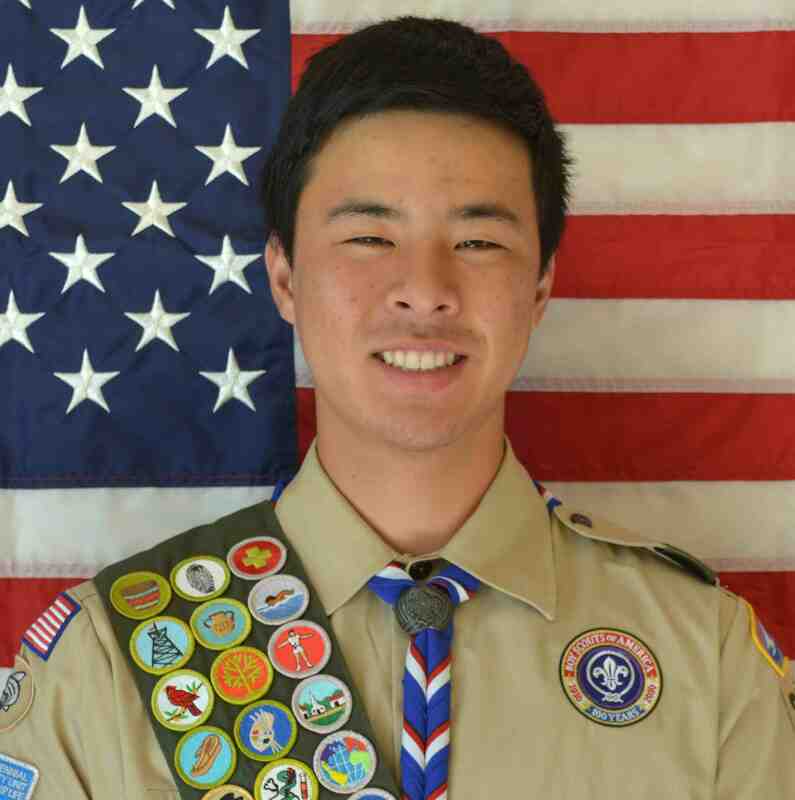 Outside of scouting, Brent is a member of the Palos Verdes High School varsity golf team and played on the Palos Verdes High School JV basketball team. He is also a member of the Palos Verdes Institute of Technology and achieved the USA Computing Olympiad, Platinum Level. He has actively participated in engineering and research projects through Jisan Research Institute and Palos Verdes High School, which included presenting at the 11th annual International Green Energy Conference in Anchorage, Alaska in May 2016 and participating in observational studies of wildlife in the Galapagos Islands. His hobbies include playing the guitar and the ukulele. • Matthew Y. Usui, 18, is a senior at Palos Verdes High School. Matthew also joins Brent and his brothers in earning the rank of Eagle Scout on Sept. 6, 2017. He started Cub Scouts in 2008 with Pack 862 and earned his Arrow of Light in 2010. He joined Boy Scout Troop 378 in 2010 and his past leadership positions include assistant senior patrol leader and patrol leader. Matthew earned 33 merit badges and his favorite was the rifle shooting merit badge. Matthew’s Eagle Project involved building the gate and portions of the dressage horse arena at Ernie Howlett Park, located in Rolling Hills Estates. He chose to do this project because he spent many memorable hours playing Little League at the park. His project required many volunteers to help dig out and replace decaying posts, and custom-build and paint sections of the fence and gate that were damaged to allow the local community to safely enjoy the beautiful dressage riding arena. Matthew is very grateful to the many volunteers and leaders who helped make his project a success. 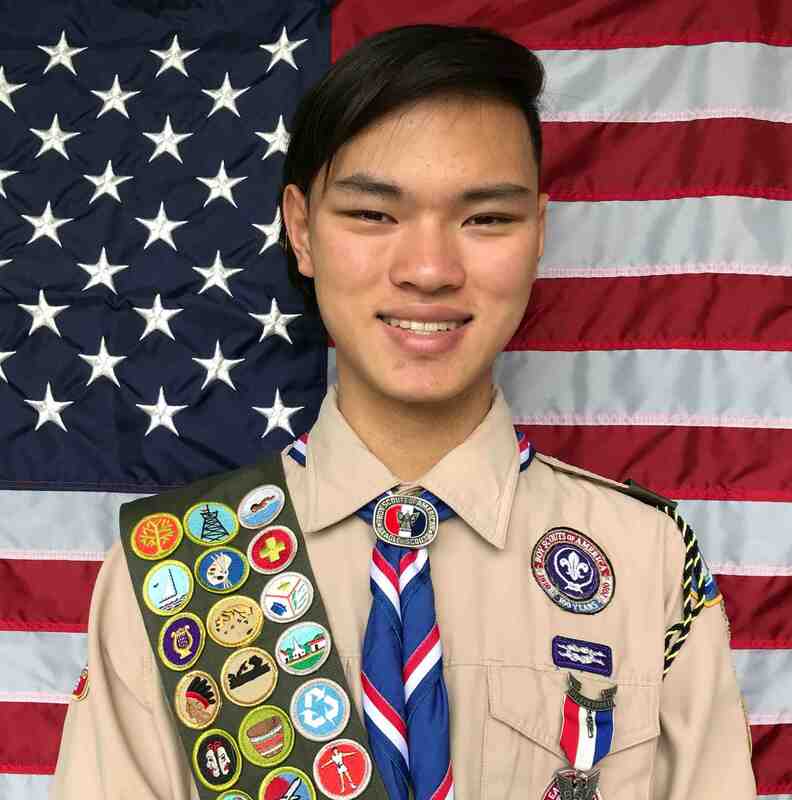 Outside of scouting, Matthew is a member of the Palos Verdes High School varsity volleyball team and Team Rockstar Club volleyball team, and earned first team honors in the Bay League. He also played on the Palos Verdes High School varsity basketball team. Matthew is active in school leadership as a member of the Palos Verdes High School Principal Advisory Council and as the student representative for the Western Association of Schools and Colleges. He also enjoys being a staff writer for Trade Winds, a student-run Palos Verdes High School literary magazine.